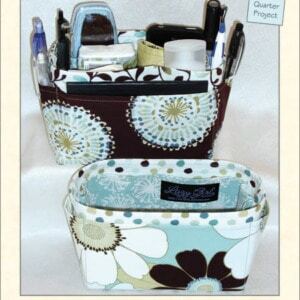 Lazies, Stay organized in style! 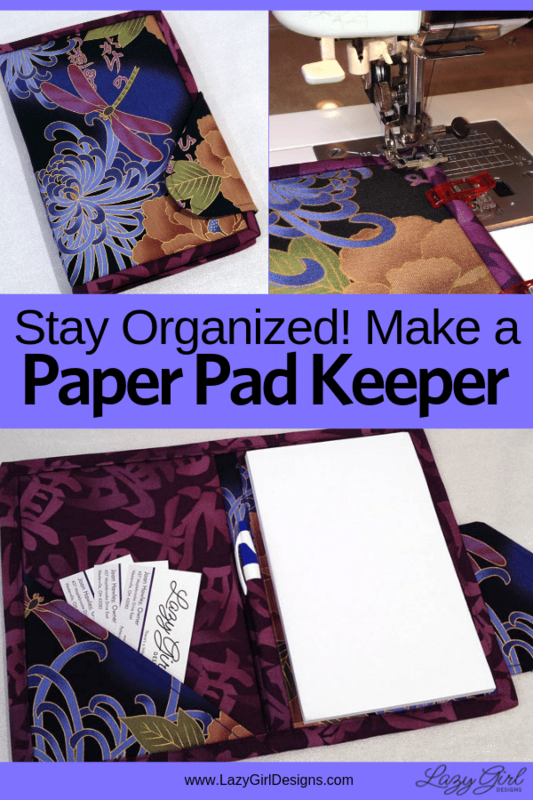 You can make this gorgeous fabric keeper for a pad of paper, or an electronic tablet. The keeper also has a little pocket and pen holder, too. 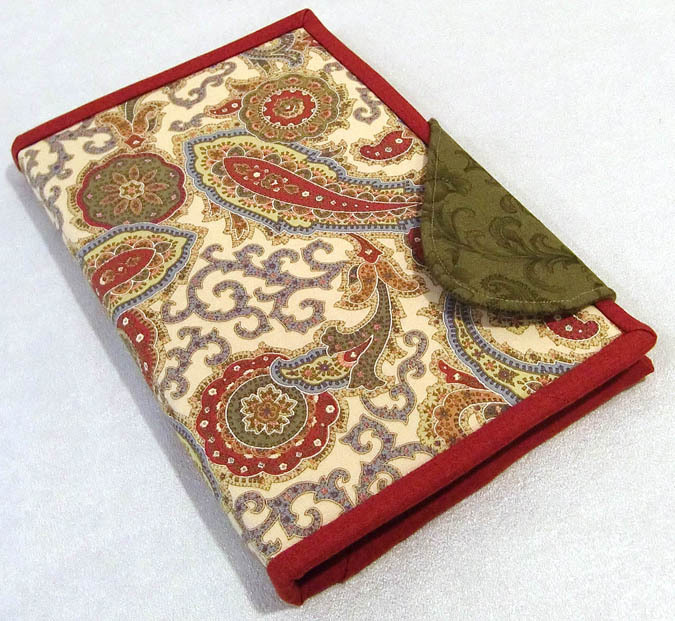 This quick and easy gift looks great in fabrics for guy gifts or gifts for her. 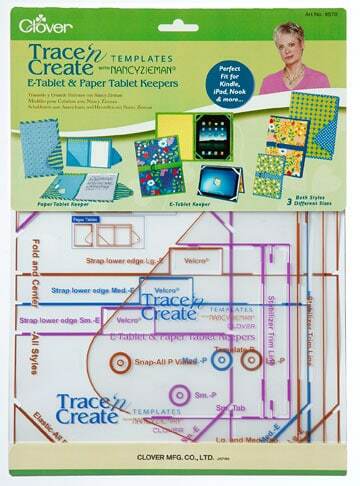 Nancy Zieman’s Tablet Keeper template will make keepers for e-tablets/eReaders like an iPad or paper pads in three sizes. 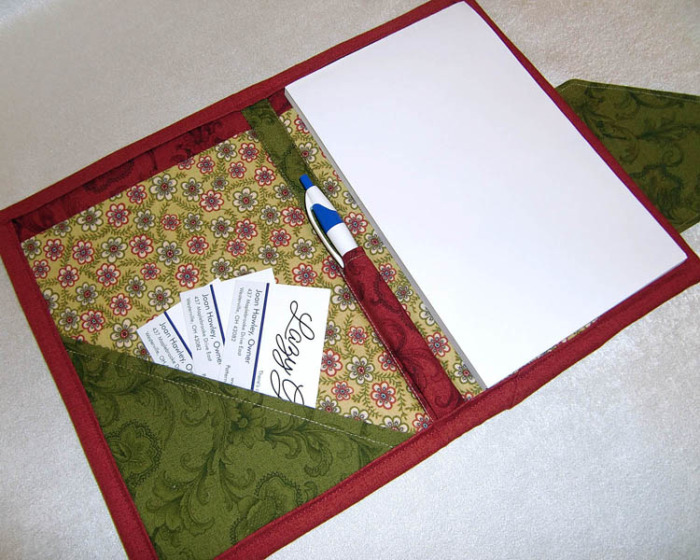 I made three of these great note keepers for gifts. 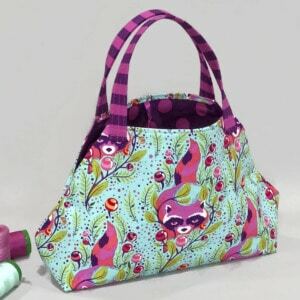 This keeper will fit perfectly inside our Candice bag. 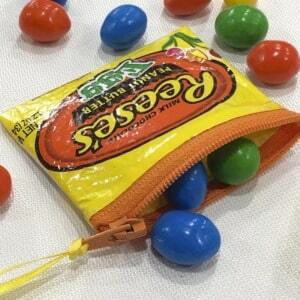 Our new Fat Pocket technique for the inside Candice pocket will easily accommodate these keepers. 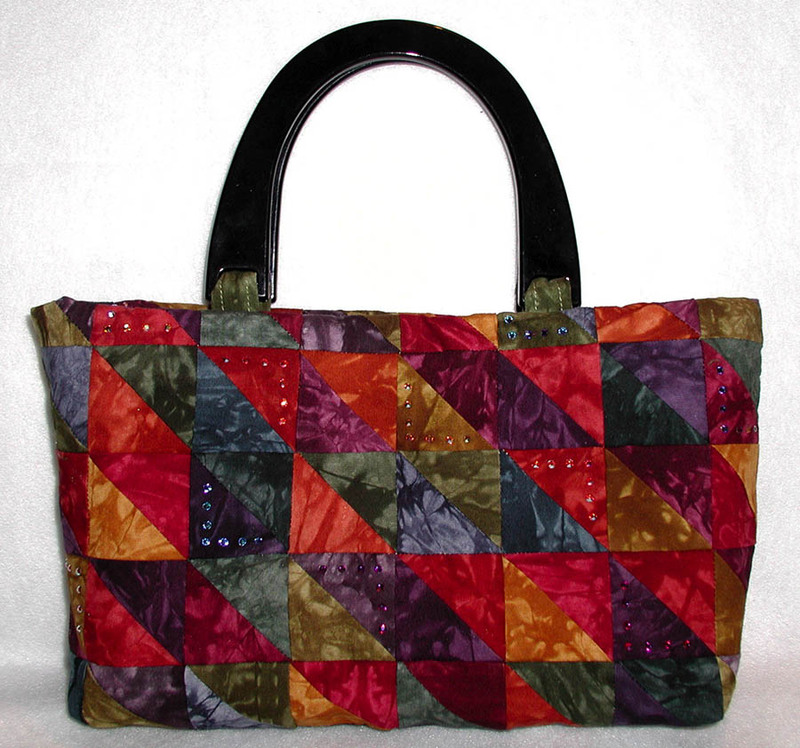 Consider making one to coordinate with your next bag. I have been hanging on to this bundle of Moda fat quarters, waiting for the perfect project. I made this for my Mom. 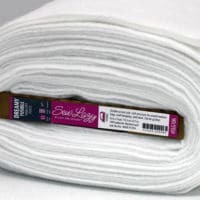 She’ll love these fabrics. I made a few minor adjustments. I made the green triangular pocket a bit larger. After test-fitting the paper pad and before the final step of adding the binding, I noticed there was room for a pen along the spine. Adding a pen holder was easy. I added a pen pocket on the inside spine. Because the green spine fabric is simply topstitched in place, adding another layer of fabric here was quite easy. Simply topstitch another layer of folded fabric on top of the spine. Cut a strip 1.75″ x 8″. Fold 1/4″ of long edges to wrong side and press. 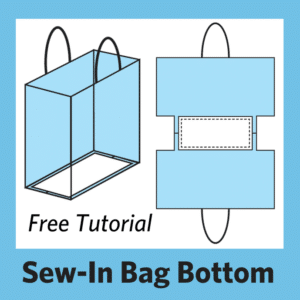 Fold in half to measure 4″, topstitch along fold. Place on top of spine, match raw edges to bottom. Stitch in place along edges where shown on top of spine. 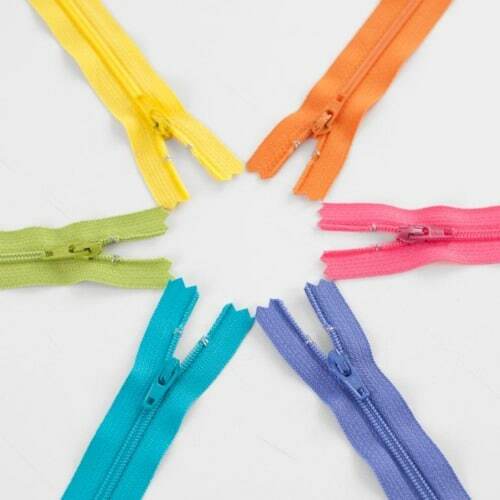 Manage the layers to a nice pleat at the bottom and topstitch to secure. 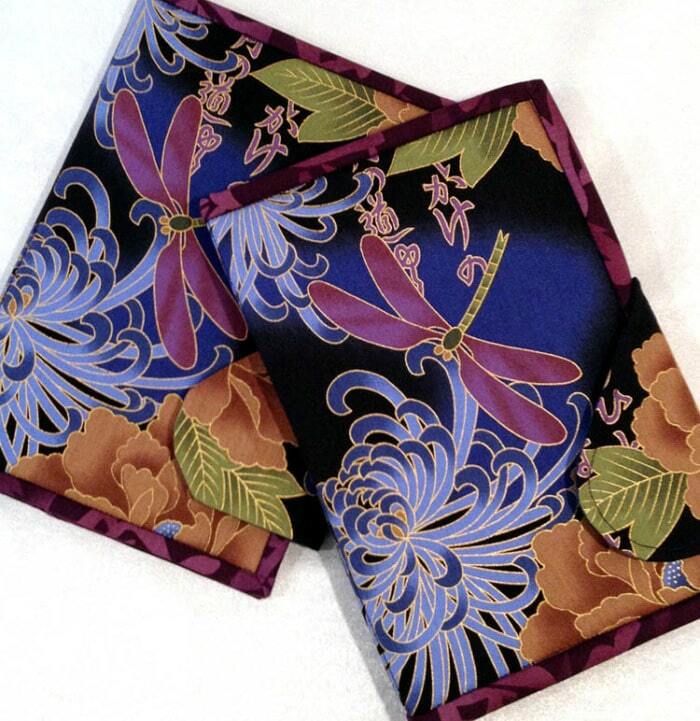 I didn’t stop there, I grabbed some fantastic Kona fabrics and fussy cut to feature the dragonfly on these two keepers. I worked with just two fabrics, instead of the three called for in the Template instructions. That meant that the flap closure blended a bit more with the cover. I made one other modification, making the left lining from a single piece of fabric rather than two pieces. That meant a little more measuring and planning on my part. I used a Clover magnetic snap for the closure. Velcro would work just as well. Note: This post contains affiliate links. I make a commission when you buy something through those links. I used Clover Wonder Clips sewing clips instead of pins on this project. The clips have a red piece and a clear piece. The clear is a flat piece of plastic with markings that relate to the width of your binding. The red part is curved to accommodate the bulk of the binding. So, between the ingenious flat side and the curved red side, your project lays flat against the bed of your machine while you sew. 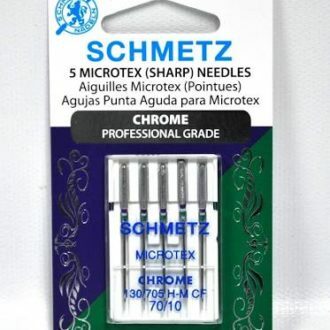 Simply remove the clips as you approach the needle. To use, simply attach your binding as usual. 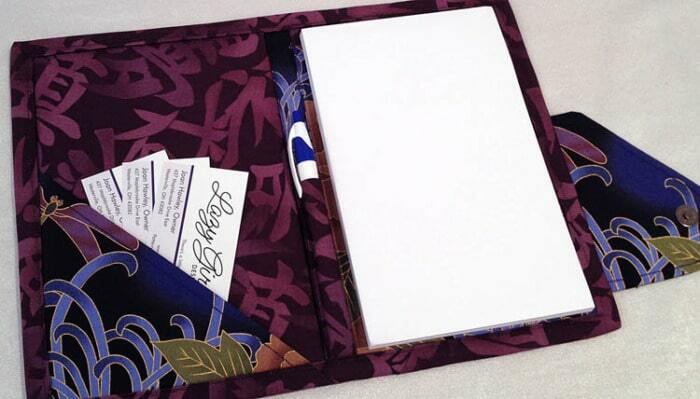 Fold binding to the back and clip. 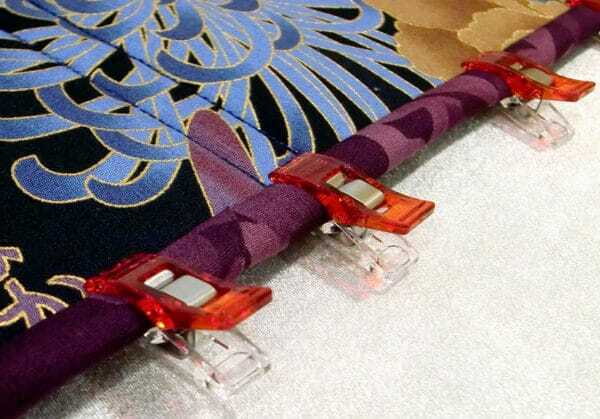 Notice that the clips go just to the edge of the binding. That helps ensure the same amount of binding is turned under. 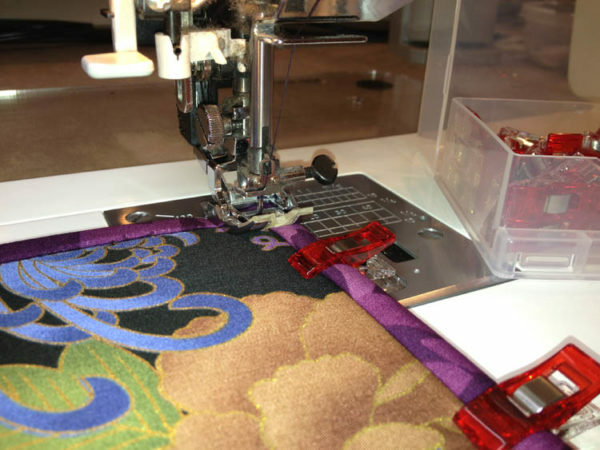 Simply stitch in the ditch by machine, removing clips as you go. Or stitch binding in place by hand. The templates were easy to work with, accurate and gave me confidence. The templates include marks for perfect placement of the snap, spine, etc. Having three sizes on the template with markings for all of these things means less measuring and figuring on my part. Since all cuts are rectangular/square, this project would be easy to customize for any size fit. 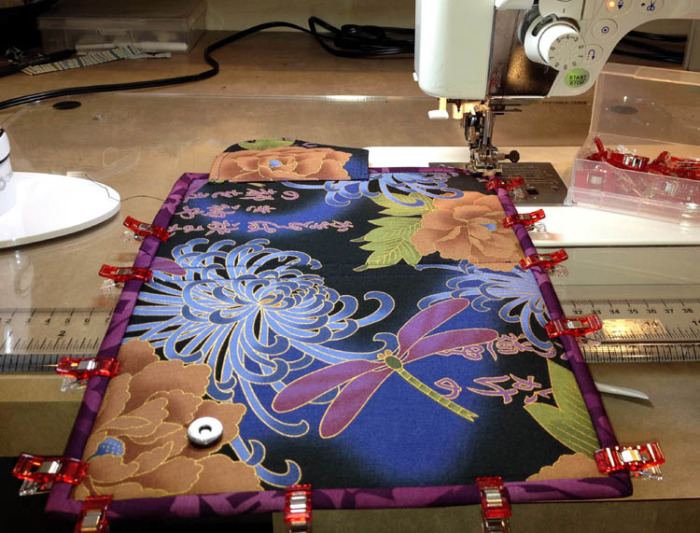 I used decor bond med/heavy interfacing, Pellon fusible fleece and Nancy’s tablet shapers for structure. See what other bloggers did with their project, list below my name at end of post. Join me on Pinterest here, remember to ‘Follow’ me there, and pin this post and pics to your Pinterest boards to save this idea. 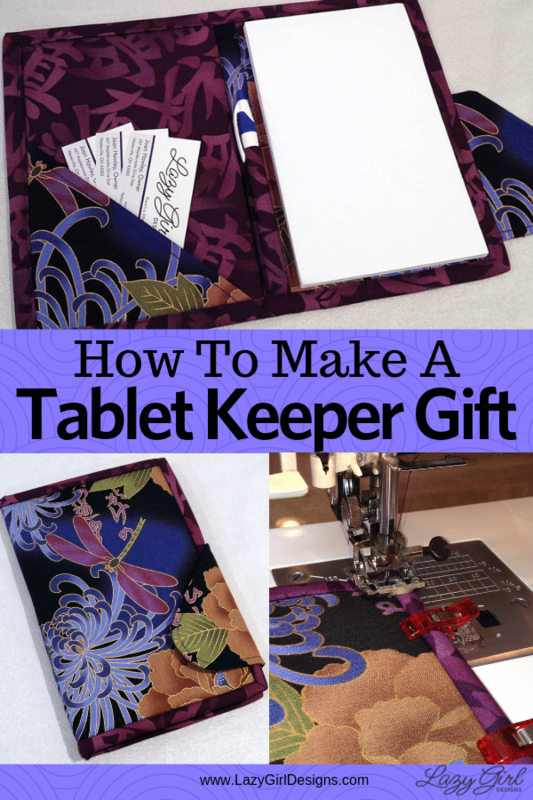 Clover Needlecraft provided the Tablet Keeper template set, strap interfacing, hardware, and tablet keeper shapers for this project. I like this! I am thinking it could be modified for my coupon shopping…………….. I really like both of your covers, but that one with the dragonfly on it is out of this world! Beautiful job on both of them. Great idea to use the dragonfly material. Trust Nancy to come up with templates. Thanks for letting us know about these. What great Paper-tablet Keepers! The next I make I’ll be adding the pen holder. You’re very clever! Thanks for being part of the blog tour. Wow. What a super idea. I have an iPad (2 actually) and one has no cover yet. I think I need to make a pretty “home” for it. Thanks for sharing!! Funny, I just bought these templates yesterday on ebay. Thanks for the tutorial! Ordered my template set on Friday. Can’t wait to try. Thanks for the pen holder idea. I’ve made my own paper and e keepers, but will be nice to have these templates. I love the colors you used for the note book holders. So cute and would make nice gifts for friends. Very nice! Love the addition for the pen; I’ll be using that for sure! I really like your choice of fabrics! They are beautiful. This is perfect for keeping your notepads from getting “dog ears”. WOW, I love your choice of fabrics, especially the batik one, awesome job! What great looking tablet keepers! Adding this template set to my “wish list” — can’t wait to create some of my own! I love these! I have a few of her templates but not this one. 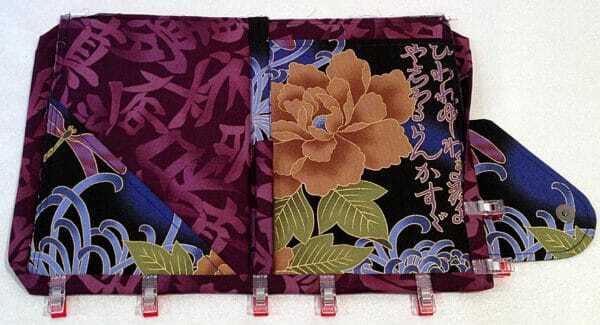 I also have a pattern for something like this tablet keeper but I love this design. Thanks for sharing – they are gorgeous! These are so cute and handy, I must make one for myself. Joan you always do such a great job and I love the Blog Tour idea. The pen idea rocks can’t believe it wasn’t in the instructions already. paper but my expensive electronic that is another matter. Love this idea! My daughter and I both have a Kindle. I see a new cover in our future! Love your tablet keeper. 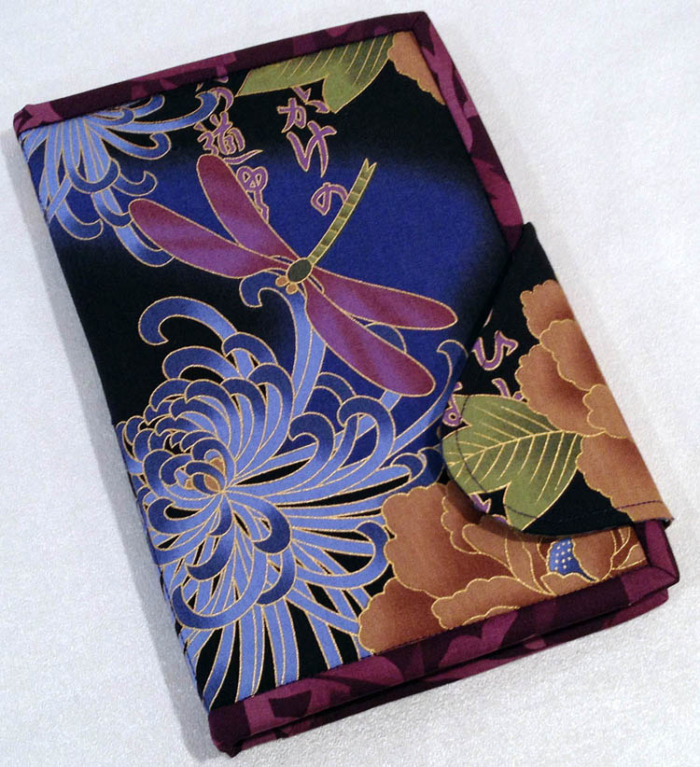 I especially like the dragonfly fabric. So pretty. I need to make one for my Kindle. Thanks for the info! I am loving this tablet keeper. 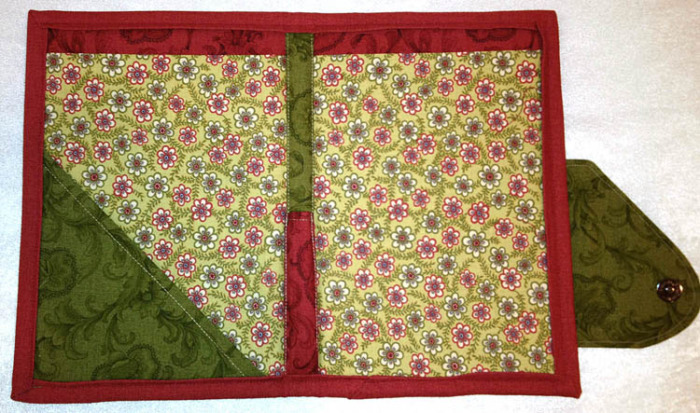 I used another pattern to make a cover for my daughter’s nook, but this one is so much nicer. She might just end up with two!! 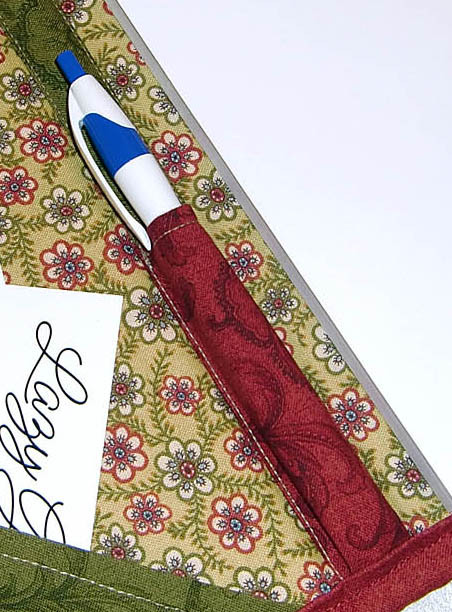 Beautiful designs, I like the corner for papers, and the pen holder. Those tablet covers are both very pretty! I’m partial to the Asian fabric one, though. Love your LazyGirl patterns. I got an ipad for my birthdayy and a cover would be great! not to mention the rotary cutter which I deperately need! These are so pretty! I love the fabrics for your “scratch pad”. I have a nice, but ugly little notebook I need to cover, but haven’t found the right pattern yet. This looks cool! I have a 5-year One Line a Day diary that I got for Christmas that this would be perfect for! I do have to get me one of these! What wonderful gifts they would make! Thanks for your suggestion to use the same fabric for the flap and the cover. I really liked the way that looked and will probably do that when I make mine. I love yours. This is probably what I’d use it for as I don’t have any of the new gadgets. Thanks! I am a single mom and qui.ting is available to me when the buget allows and this would be a great gift for me otherwise probably unable to have such items. Really looking forward to seeing this pattern come to stores near me. I have an e-reader without a cover. Plus I love to use tablets all the time for meetings so this would cover them and they would look pretty. I loved your choice of using the two colors so your flap blended in. It was great. Good job. Love the colours for the one with the dragonfly!! Beautiful!! Magnificent tablet keeper!! 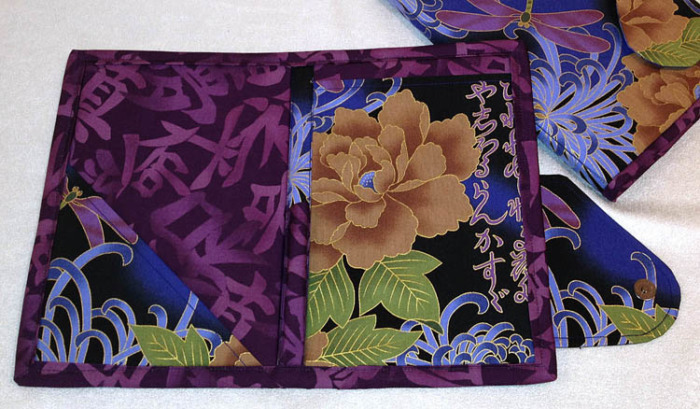 The dragonfly fabric certainly puts it over the top. I would love to know what fabric you used as my sister is a dragonfly person and I would love to surprise her! Love, Love, Love all your patterns and Lazy ideas! 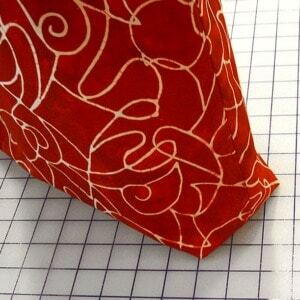 wow, love the Kona dragonfly fabric for this project. Awesome job, now off to see more of your lovely creations. Your tablet keepers are gorgeous and you did a great job. I’m going to order this template and actually use it! The tablet shapers are a little expensive–is there anything else you could suggest? I’m not too lazy, but a little cheap! 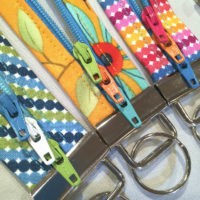 Love the project, love the fabric, love the clips! a group of us made something similar a couple years ago but i must admite i like this one better. Love your paisley cover!! Great project! Wow! The dragonflies are wonderful. I’d look for that fabric. Thanks for showing us. 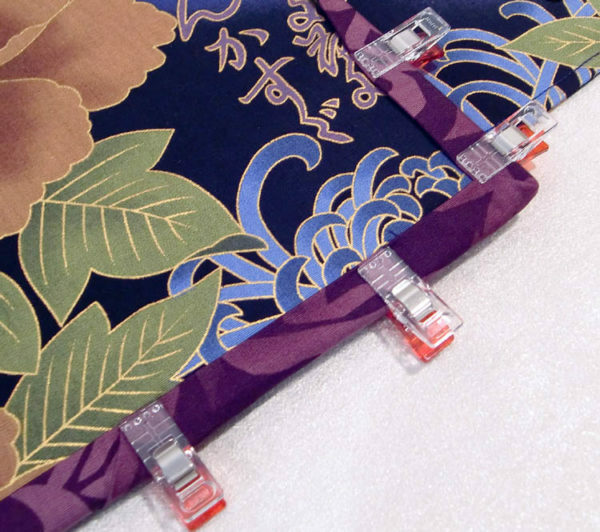 I love your fabrics and love your notebook holder. I am a paisley and dragonfly nut!! You had me from the first picture. So Beautiful. Thanks for sharing. 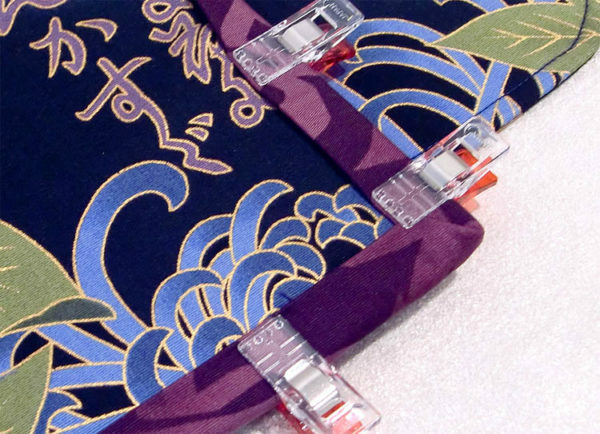 Can you please let me/us know the name of the purple/blue Kona Bay fabric with dragonflies you used for the tablet? It is absolutely gorgeous!! How nice it was to find this pattern! 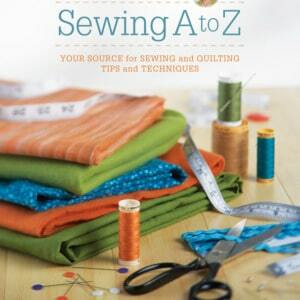 I was thankful for Ms. Zieman’s gift to the seamstresses whose life she wonderfully touched. Having cancer survivors in our family, her Nov 2017 passing touched our hearts, as did her courageous journey, battles, faith, and many years of giving.